UPDATE FEBRUARY 2019: Completion of Levels 68 – 81 due in March 2019. 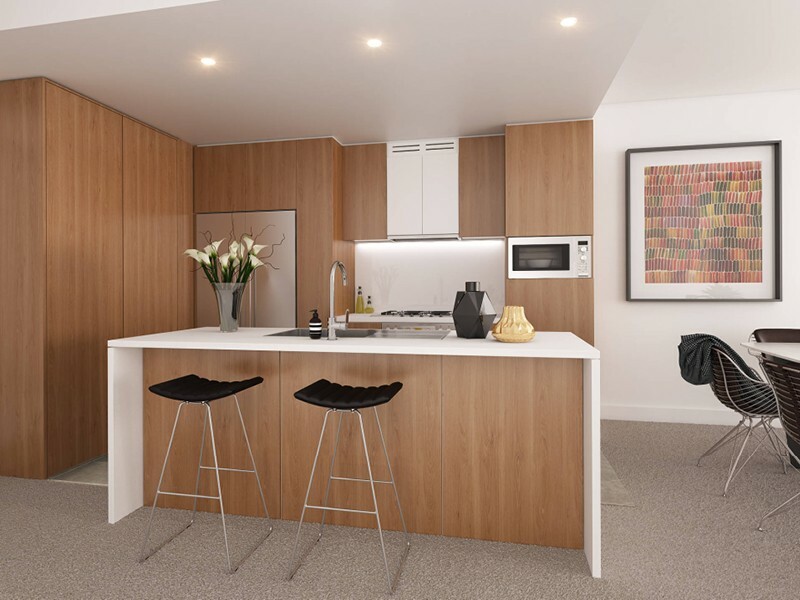 Brisbane Skytower is around 90% sold with just over 100 one, two, and three-bedroom apartments for sale in Brisbane CBD. 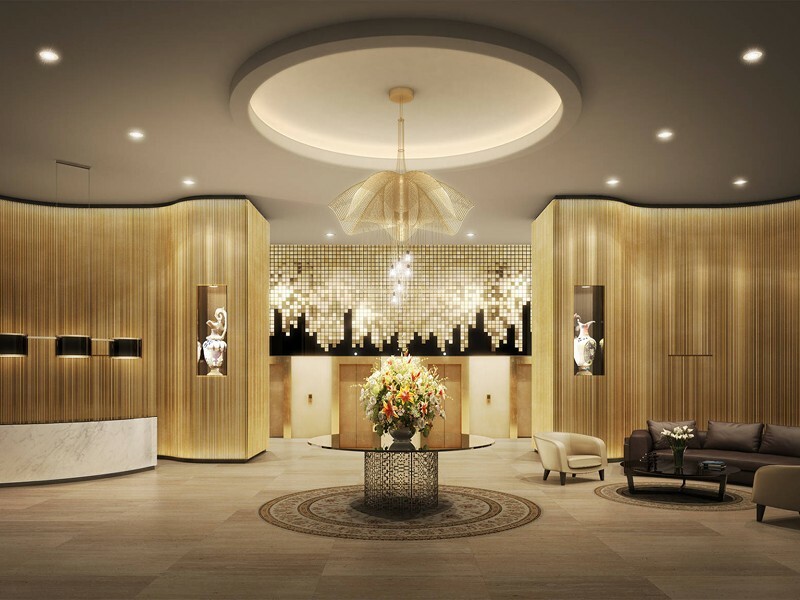 Prices in Skyrise (L68 – 81) are from $749,000 for a one bedroom apartment, $805,000 for a two bedroom apartment, and $1,085,000 for a three-bedroom apartment. 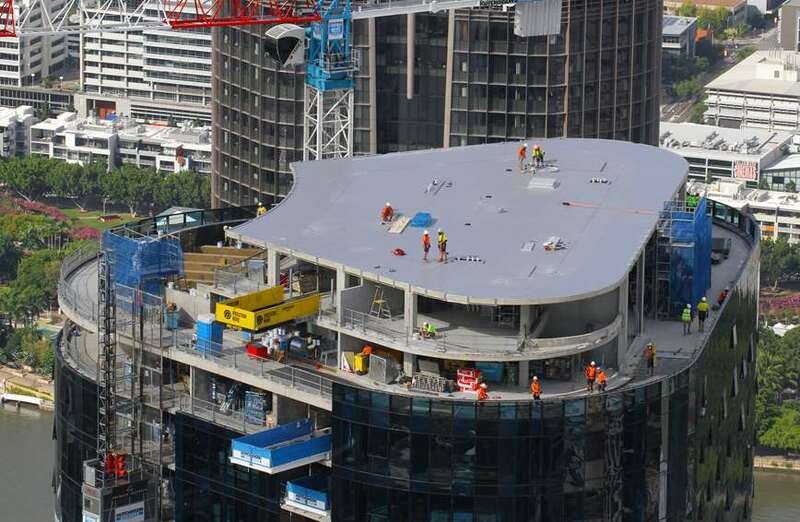 Completion of Levels 68 – 81 of the Brisbane Skytower due in March 2019. 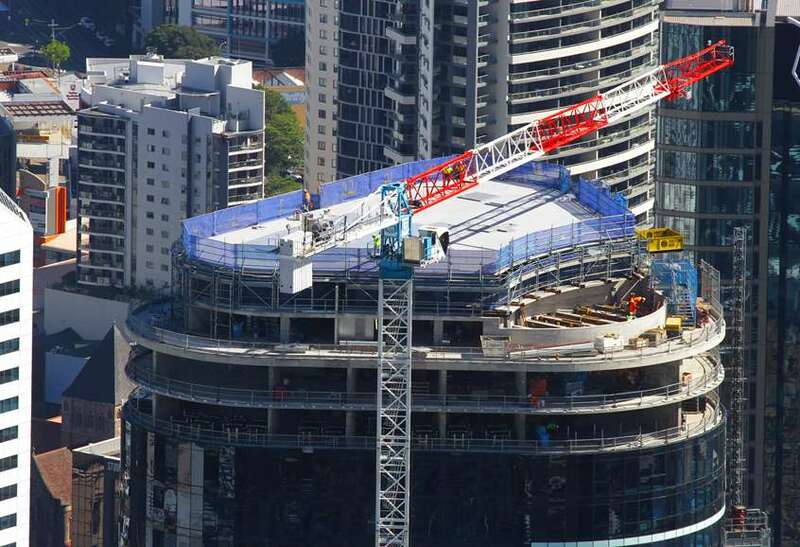 Brisbane Skytower apartments construction update Janaury 2019. Image by Hutchies. Brisbane Skytower is a new apartment building in the CBD of Brisbane. 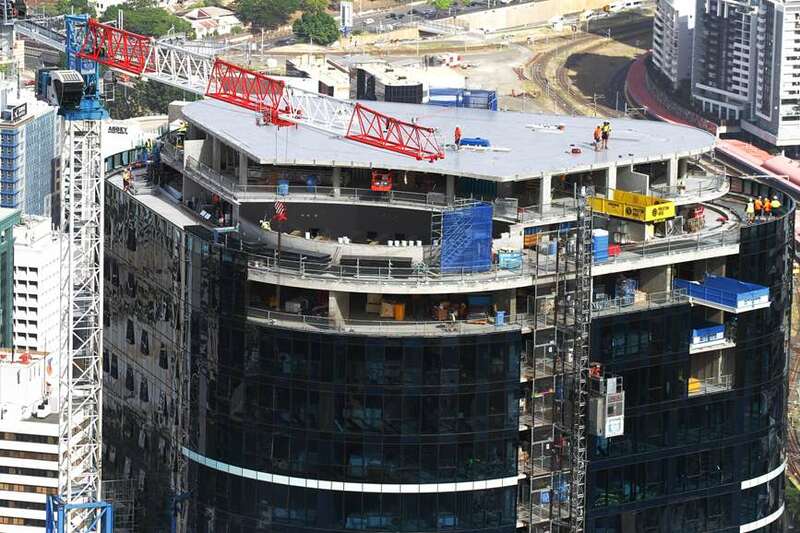 It’s an architecturally striking building — standing almost 300 metres tall it will be the tallest residential building in Brisbane when completed. The Brisbane Skytower is complete up to level 66 and many residents have already moved into the lower level apartments. Construction of levels 42 – 66 was completed in August 2018 and the whole 90-level building will be finished by early 2019. Central location in Brisbane’s CBD with great transport links. 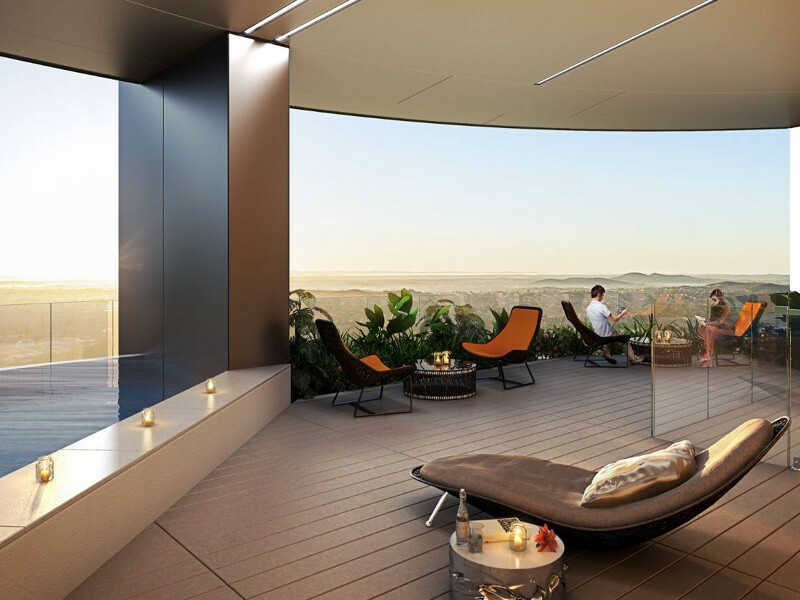 Taller than all other residential buildings in Brisbane it will have fantastic views from higher floors. Boasts Australia’s highest infinity pool. One, two, three and four-bedroom apartments available. Prices start from $492,000 — ideal for first-home buyers. 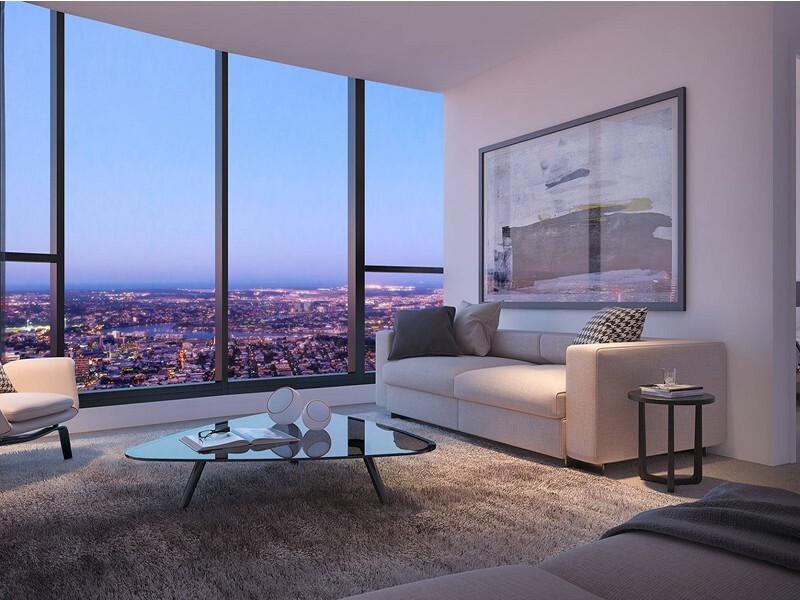 Brisbane Skytower adds 1141 new apartments to the Brisbane market, spread across the 89 floors of the building. The project is valued at $376 million dollars and will have taken 160 weeks to build upon completion. 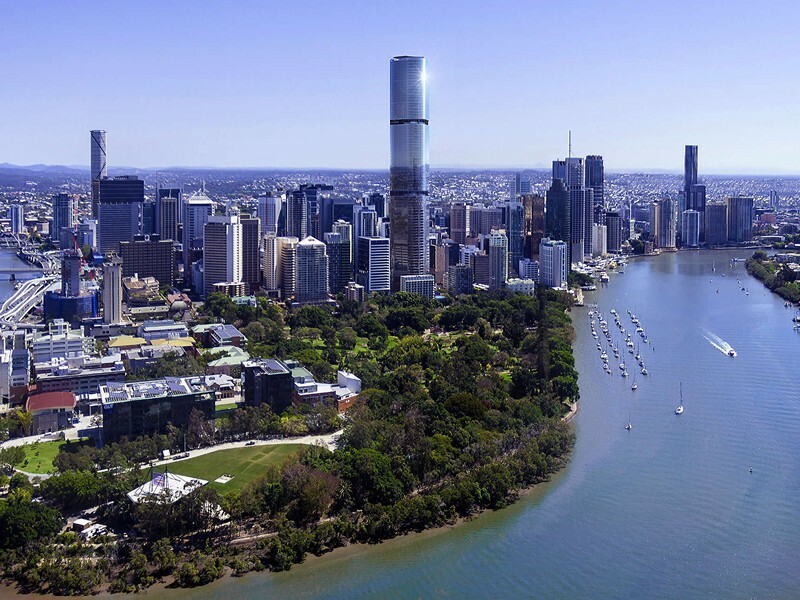 It will be the tallest residential building in Brisbane and the second tallest in Queensland, only beaten out by Q1 thanks to the spire (which some say is cheating when it comes to skyscrapers). The building is triangular, with double-glazed full height glass walls reflecting the Brisbane sky throughout the day, sunset and evening. This glass is also designed to help keep noise to a minimum. The triangular shape of the building also maximises views of the river and the Botanic Gardens. Of the residents that have already moved in, there is a mix of owner-occupiers and investors, with the majority being investors. 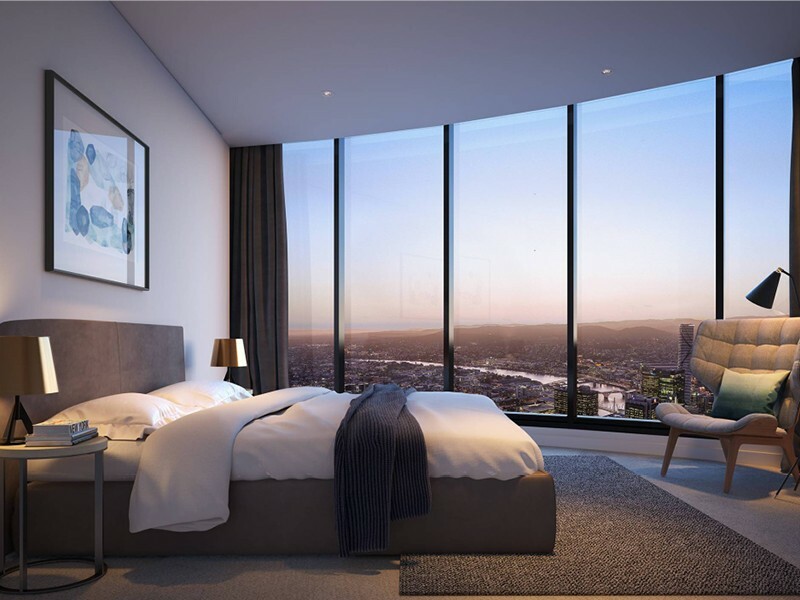 As well as long-term leasing options, there is also short-term hotel stays available at Brisbane Skytower which is managed through Song Properties. The central location is hard to beat. 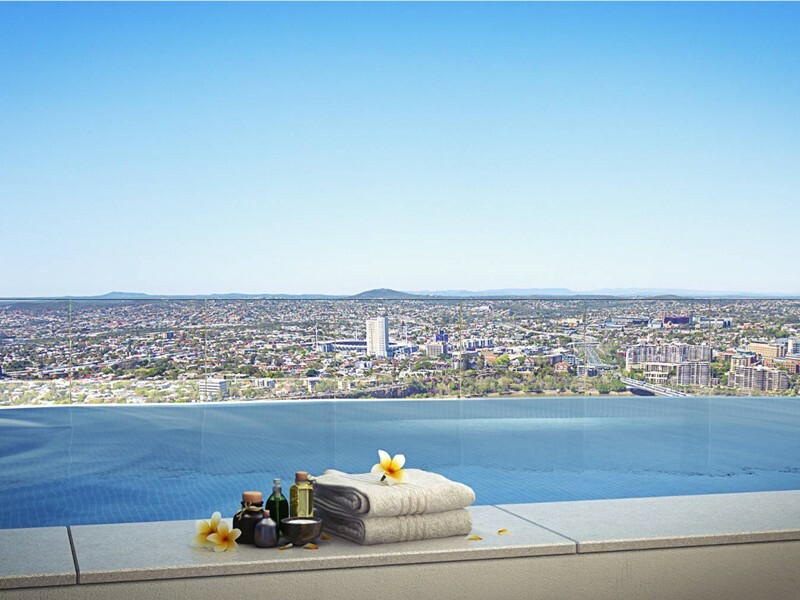 Once completed, Brisbane Skytower will be the tallest building in Brisbane, meaning stunning skyline views for residents of the higher apartments. The facilities provided a truly world-class and will be well maintained by on-site management. A lot of the apartments are owned by investors and will be leased out short-term to hotel guests. Many of the one bedroom apartments are sold without a car park as a standard. The floor plans are quite small, with some two-bedroom apartments being as small as 61m², and none of the apartments have balconies. 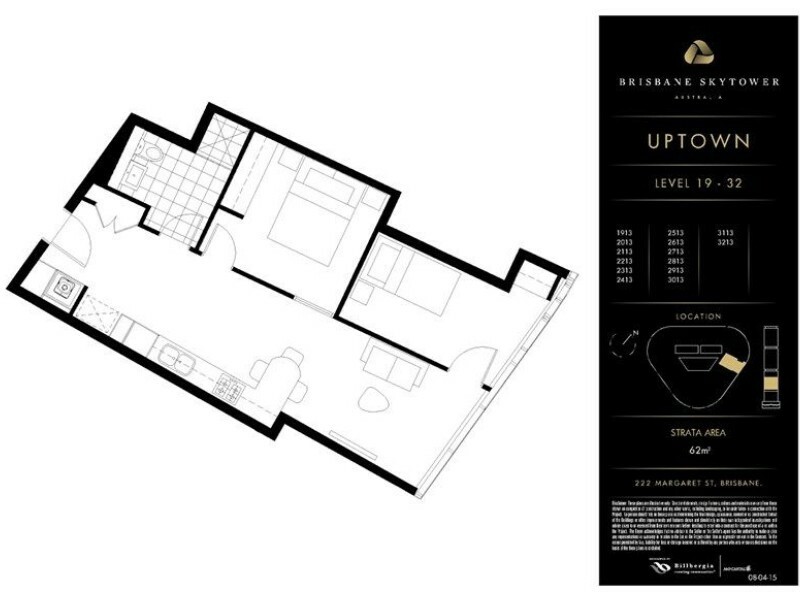 The display suite for Brisbane Skytower is open on site at 222 Margaret Street. It’s located on the ground level of the building from 9am – 5pm Monday to Saturday. Ideal for exploring Brisbane on foot, the Brisbane Skytower is located in the middle of the CBD. Close to the Botanical Gardens, the Brisbane River and the waterfront bars and restaurants of Eagle Street Pier, and the famous Southbank. The Treasury Casino and shopping precincts such as Wintergarden and Queen Street Mall are also nearby. The Brisbane Skytower is ideal for people who work in and around the city because the public transport links are fantastic in this area of Brisbane. Central Train Station is a ten-minute walk (900 metres) and the Eagle Street Pier Ferry Terminal is just seven minutes on foot (550 metres). 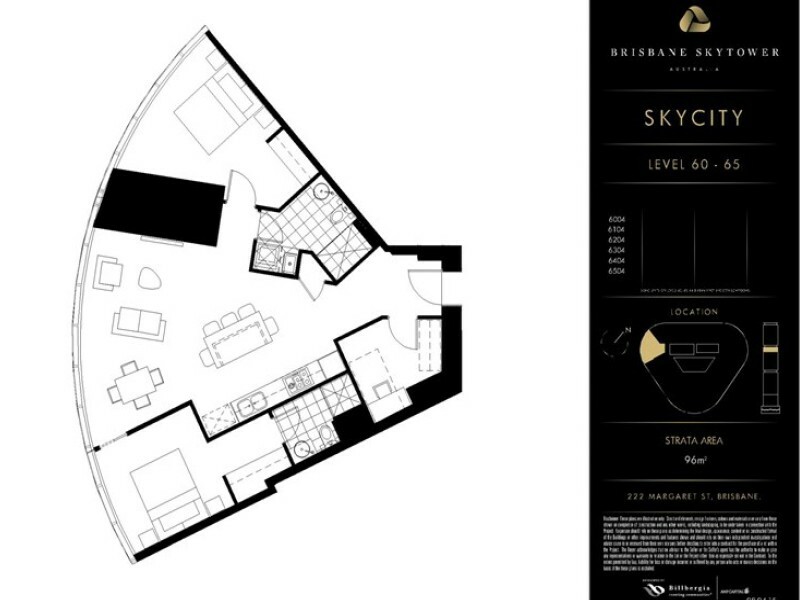 At Brisbane Skytower, there are three recreation decks for buyers to enjoy as well as a luxury health club and spa. 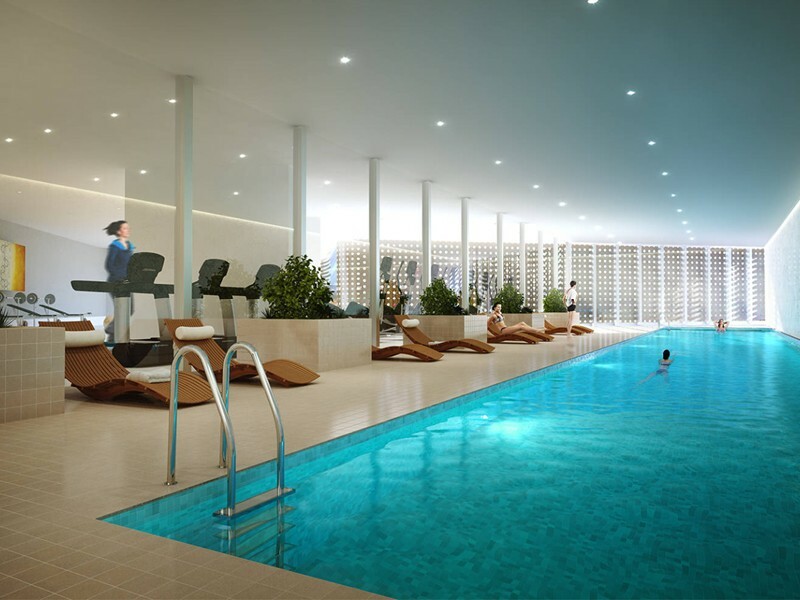 The contemporary design of the building extends to the indoor and outdoor pools, gym and outdoor seating areas, all styled with luxury finishes. Level 66 is excellent for functions (we hosted our last magazine launch there) with a large pool and semi-open-air space. 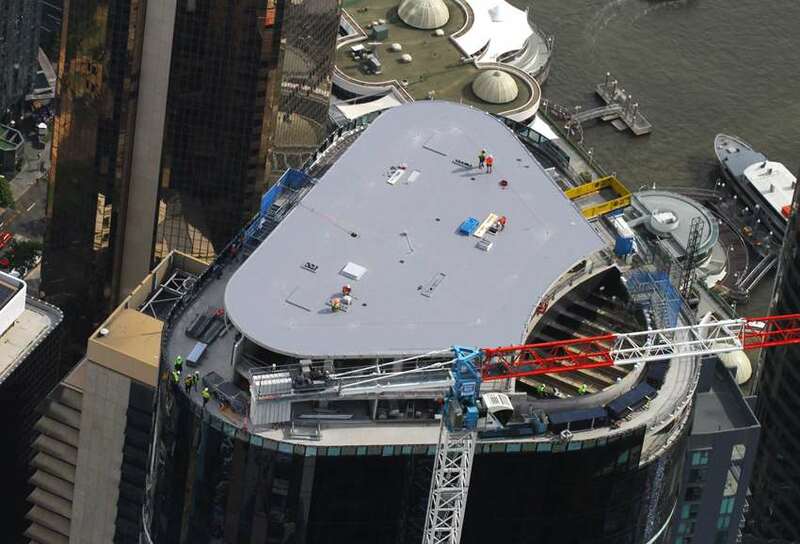 On completion, the building will host Australia’s highest infinity pool which will be situated on Level 90. 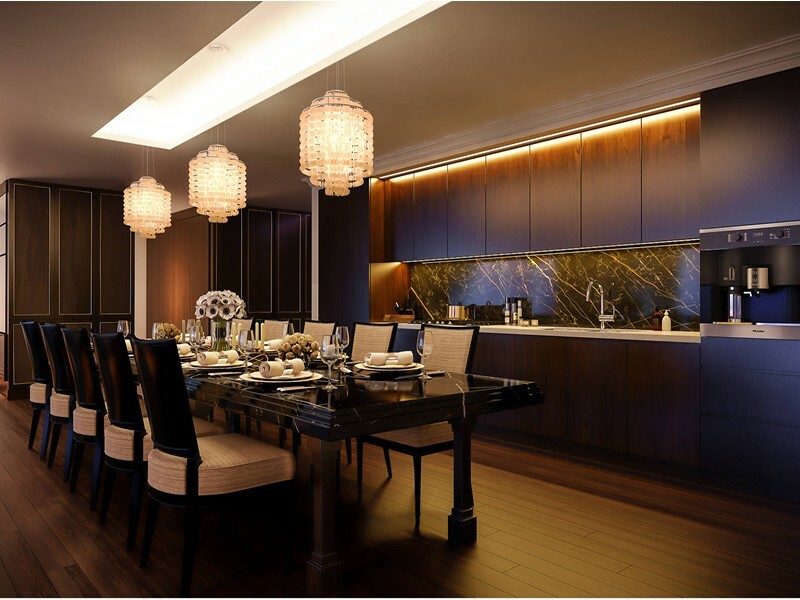 There is a private dining room with a kitchen in the Skyrise Lounge for residents to entertain guests. 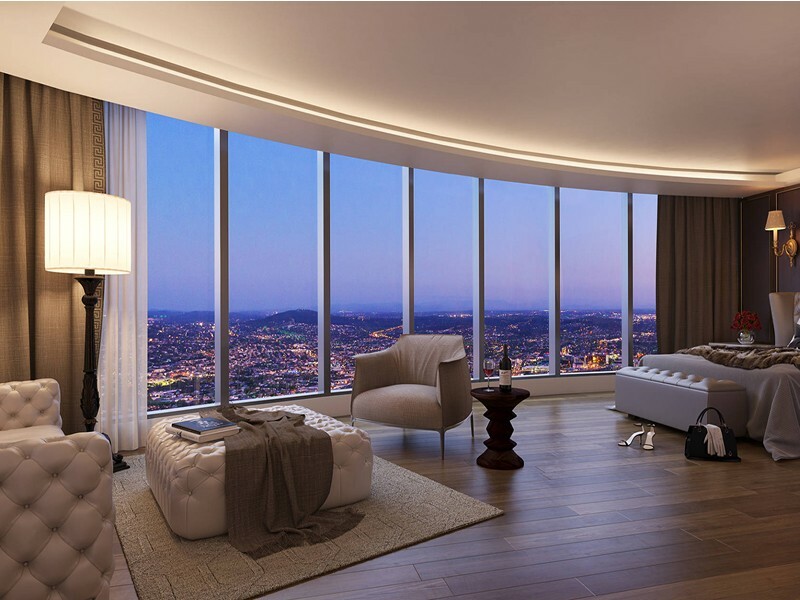 Brisbane Skytower residents and guests will also have access to a 24-hour five-star concierge. 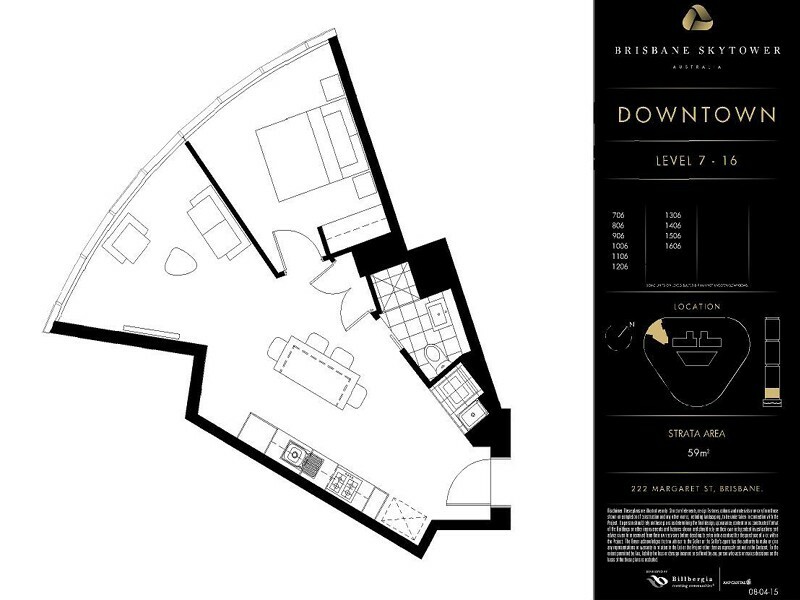 Parking at Brisbane Skytower is not abundant, with most of the one-bedrooms being sold without a carpark as standard. 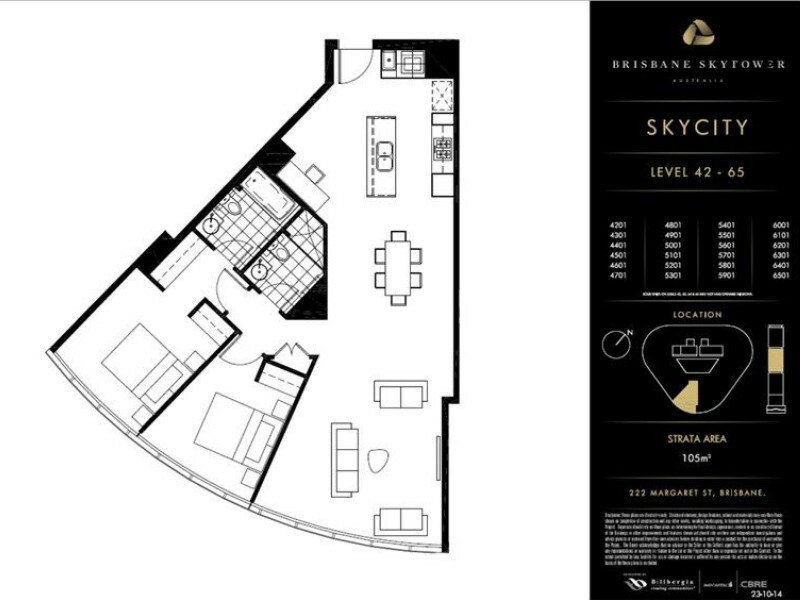 The Brisbane Skytower will have 1,138 one, two, three and four-bedroom apartments with a broad selection of floor plans. 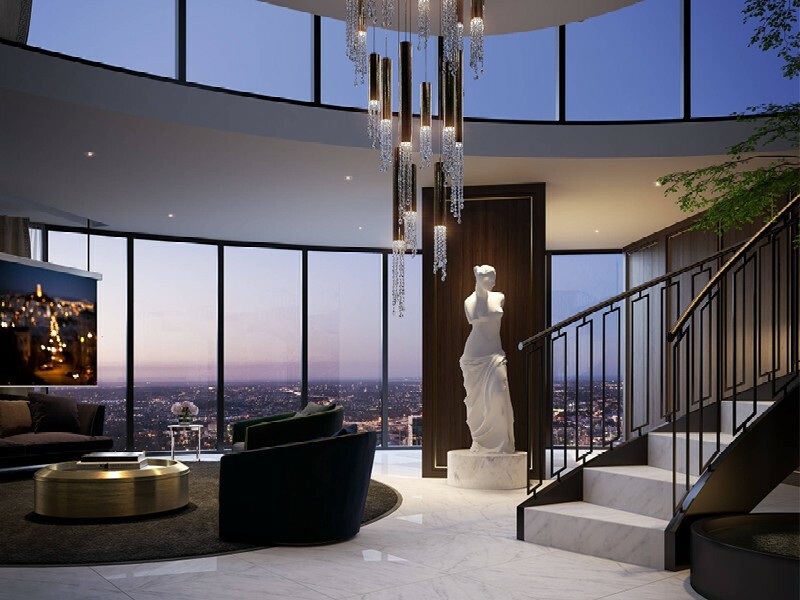 The penthouses, on floors 88 – 90, are due to be released for sale later this year and are tipped to be Brisbane’s most expensive apartments. This building will no doubt become a Brisbane icon and attract a lot of attention from tourists. One thing to bear in mind is that these apartments don’t have balconies, and the floor plans are noticeably small for the one and two-bedroom apartments in particular. The building is broken into several different sections. Downtown extends from levels 7 to 16, Uptown encompasses level 17 to 39, you’ll find Skycity from levels 42 to 65, and Skyrise tops out the standard apartment offering from levels 69 to 78. 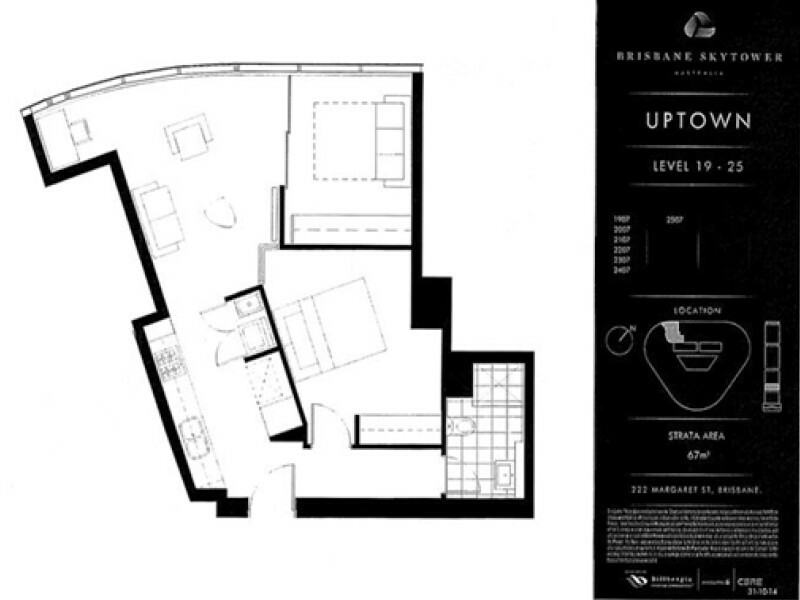 Something to note about the apartment configurations for Brisbane Skytower is the use of space. All corners of the apartment are utilised, with cleverly designed floor plans making the most of every available square metre. 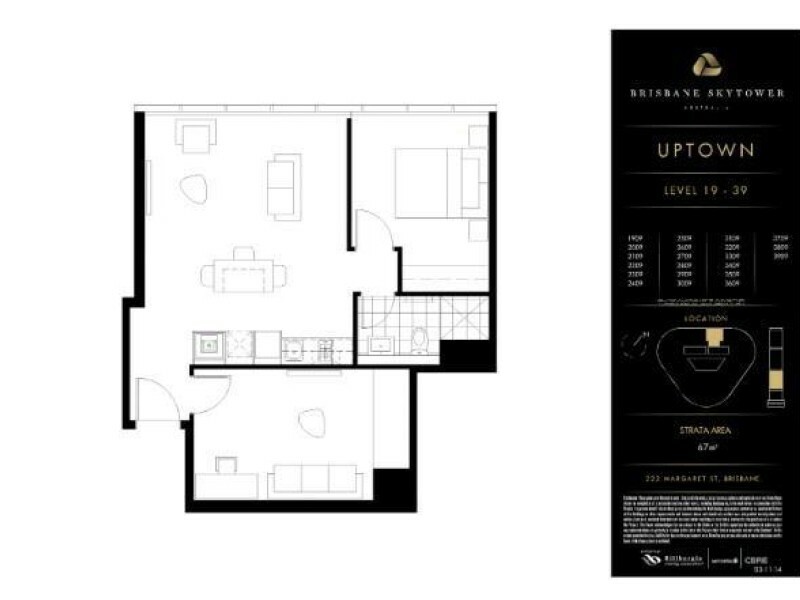 The unique shape of the building means many of the apartments have floor plans of odd shapes that aren’t often seen in standard apartments. 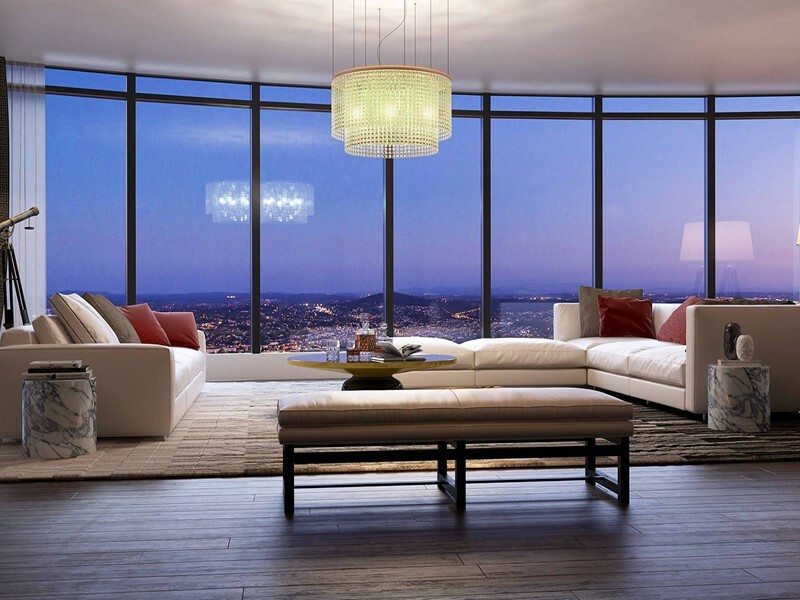 Floor-to-ceiling curved glass windows line the outside edge of every new apartment, allowing plenty of light to permeate into the living spaces. The one-bedroom apartments are sized just under 60m². They offer an internal laundry cupboard right near the doorway which flows onto a decent sized dining space. This is made possible by a rather small kitchen, which is kept just to a long bench against the wall, featuring oven, gas stove-top and sink, as well as fridge and dishwasher space. There isn’t a lot of prep space, so these smaller apartments probably won’t suit budding Master Chefs. Internal storage comes in the form of a small linen cupboard and built-in wardrobe in the bedroom and bathroom cupboards. There is quite a bit of variety in the two-bedroom apartments, depending on how high up in the building you’re looking. 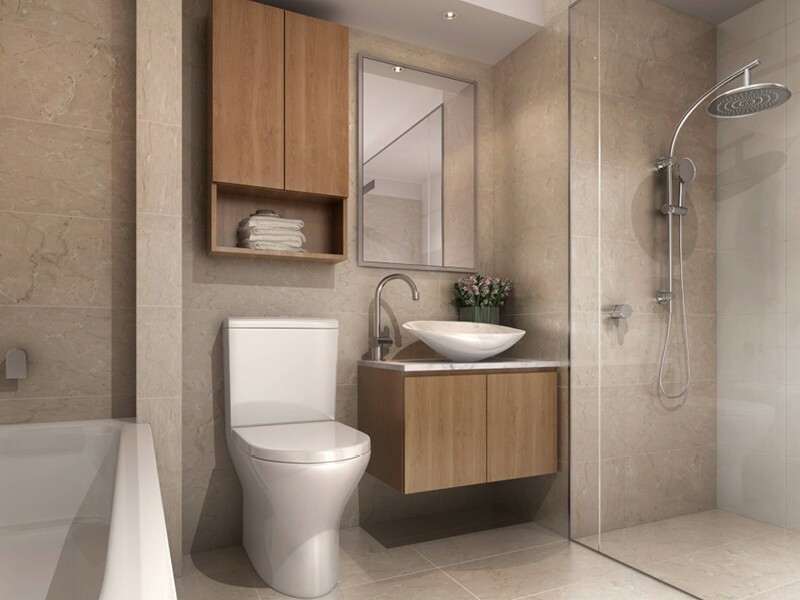 The two bedrooms sit between 61m² and 100m², the majority only offering one bathroom. Some of the bedrooms are located directly next to each other, with some at opposite ends of the house to suit those with young children those looking to bring in a roommate. The three-bedroom apartments are sized up to a quite spacious 120m², with the main bedroom featuring two built-in wardrobes as well as an ensuite with double basin. 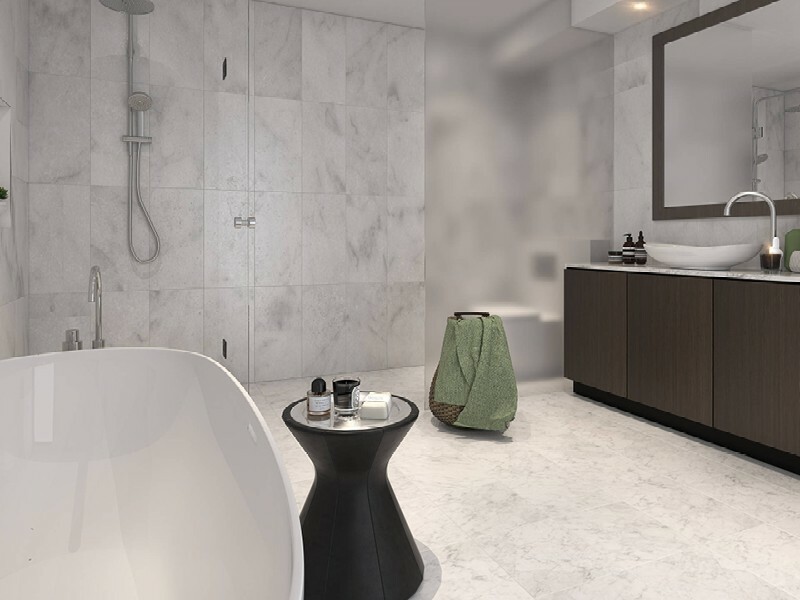 The three-bedroom apartments also feature a breakfast bar in the kitchen, separate laundry room and a statement feature bath in the main bathroom. 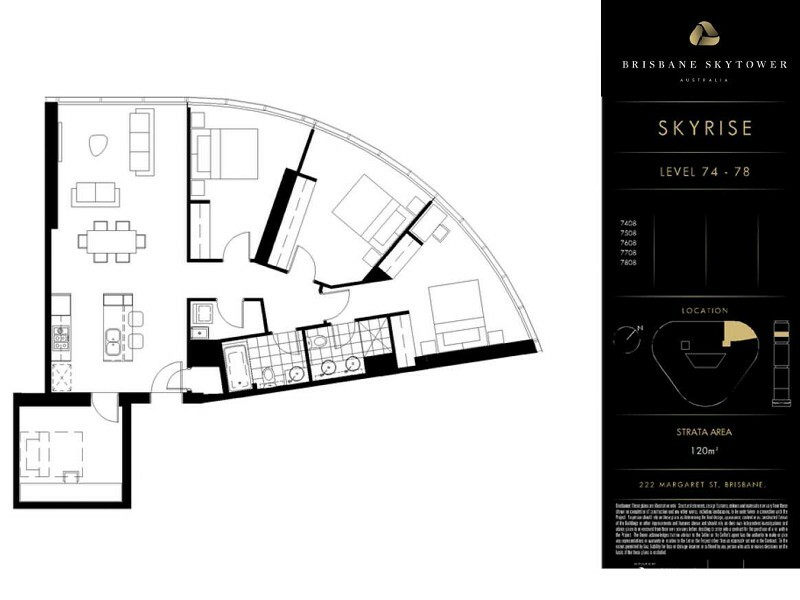 The three-bedroom apartments higher up in the building, such as those in Skyrise, also offer a multi-purpose room which could be converted to an (albeit small) fourth bedroom if necessary. 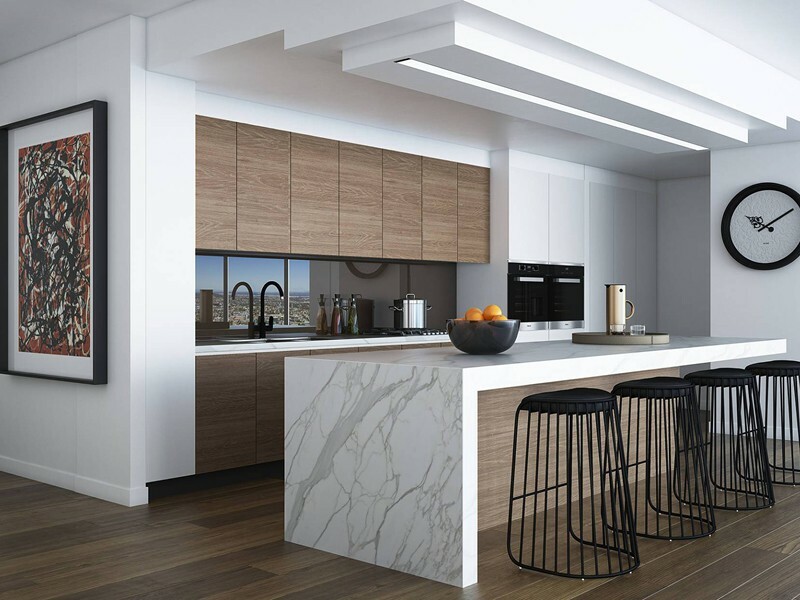 The apartments in Brisbane Skytower have high-end Italian appliances and marble finishes to the kitchen and bathrooms. Underfoot in the kitchens, you’ll find timber-like flooring with soft carpet in the living room and bedrooms. The bathrooms are finished with a large statement tile, large glass vanities and a rain shower head. There is ducted air conditioning throughout. Rentals and short-term hotel stays at Brisbane Skytower are managed by Song Property Group. The location definitely lends itself to a rare investment opportunity, and the 24/7 onsite management adds a cherry on top for both local and international investors. 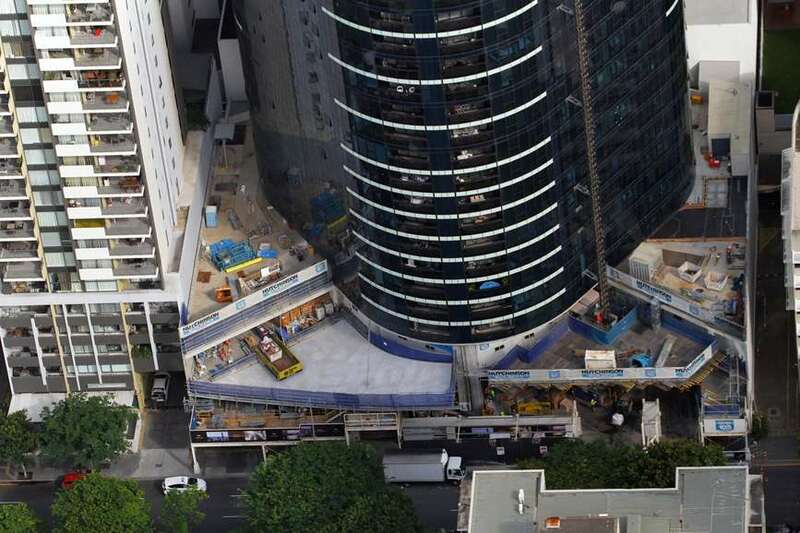 Brisbane Skytower was one of only two CBD apartment buildings that settled within 2018, and although there have been a few more off-the-plan developments approved this year, those aren’t scheduled to be complete until 2020 at least. The two-bedroom apartments have an expected rental return of between $600 and $650 per week. For the one bedrooms, the rental return is expected to be around $420 per week. 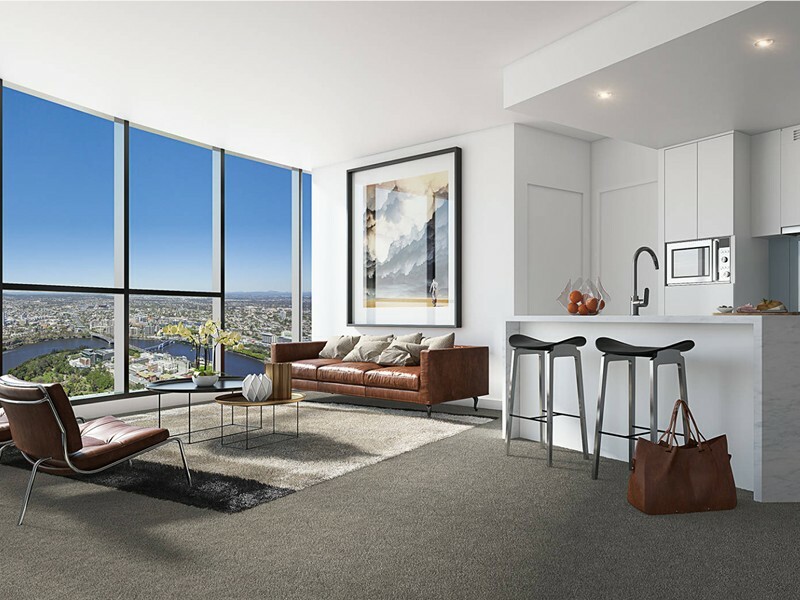 There have been reports of several foreign investors who purchased apartments when the tower was first launched back in 2015 who are now looking to sell their Brisbane Skytower apartments for up to 10% less than they purchased them for. It’s likely these buyers were Asian speculators who are struggling with finance now due to the bank’s tighter loan policies for foreign investors. 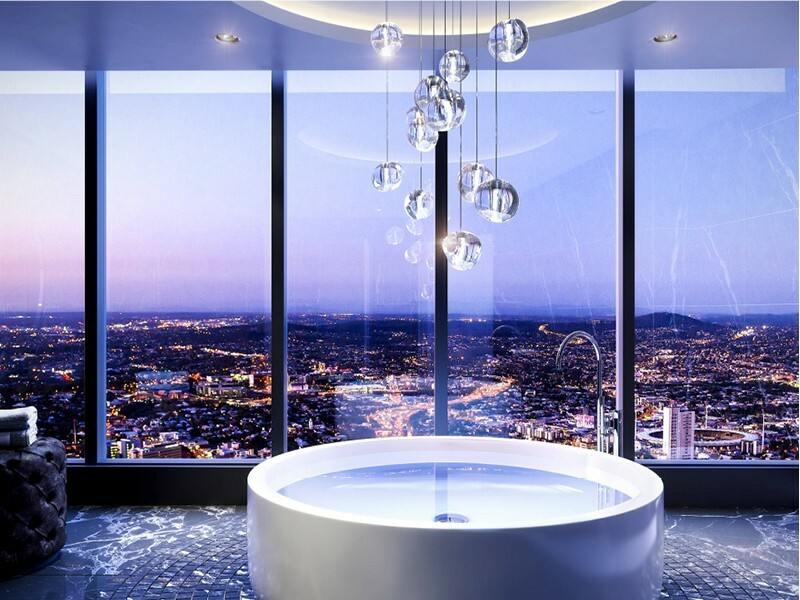 The body corporate fees for a two bedroom apartment in Brisbane Skytower are expected to be around $4,000 a year, which puts it in the ballpark of $75 per week. Also currently under construction in Mary Lane Apartments, perched on top of the Westin Hotel. Over the next few years, the surrounding area will also welcome The Coterie apartments in Fortitude Valley, Bridges, and 443 Queen Street. 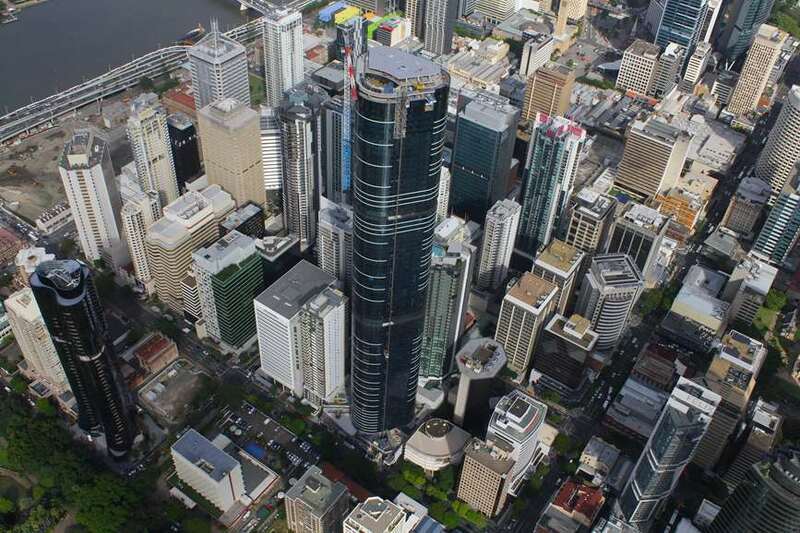 The Brisbane Skytower is being developed by Billbergia and AMP Capital as a joint project. 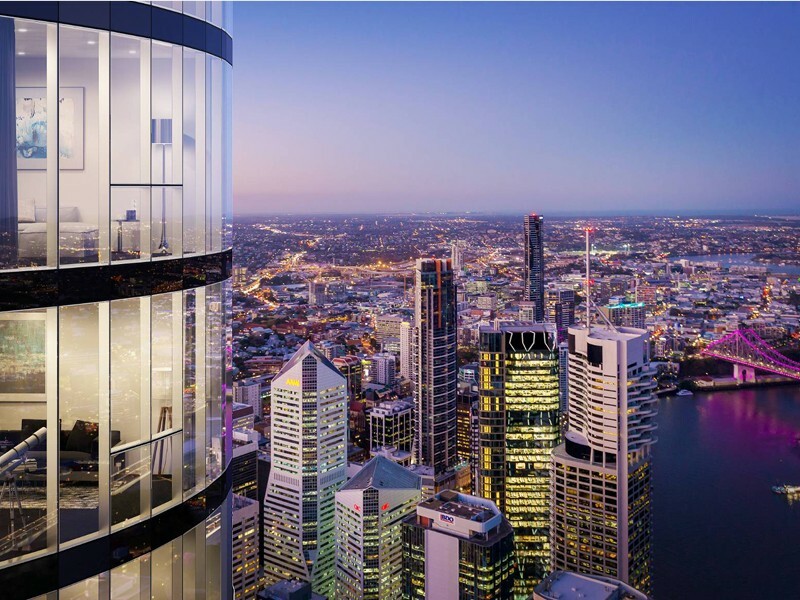 Billbergia have over 25 years experience in Australian property development, which combining with AMP Capitals expertise in investment management means Brisbane Skytower is in very capable hands. 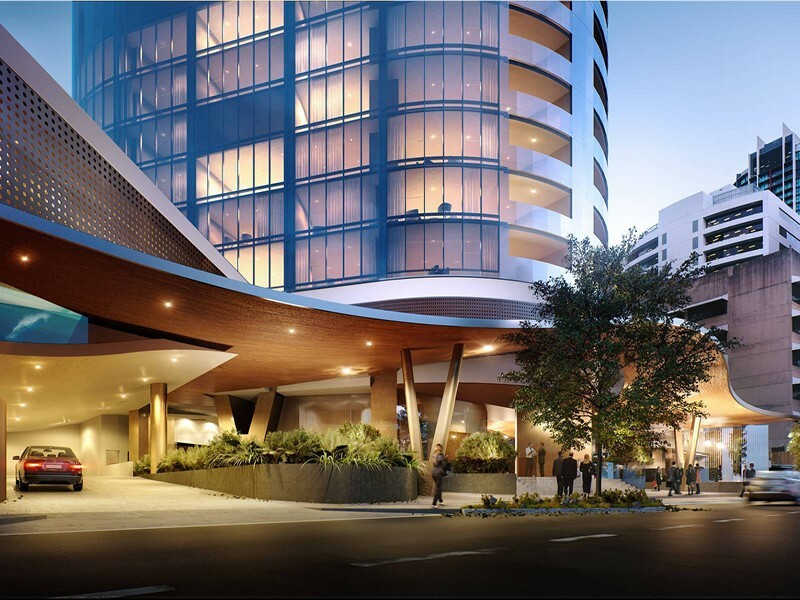 The building of Brisbane Skytower has been a contracted to Hutchinson Builders who have worked on bringing to life over 700 residential projects, the majority of which have been in Australia. 0422 405 838Click to display phone number.